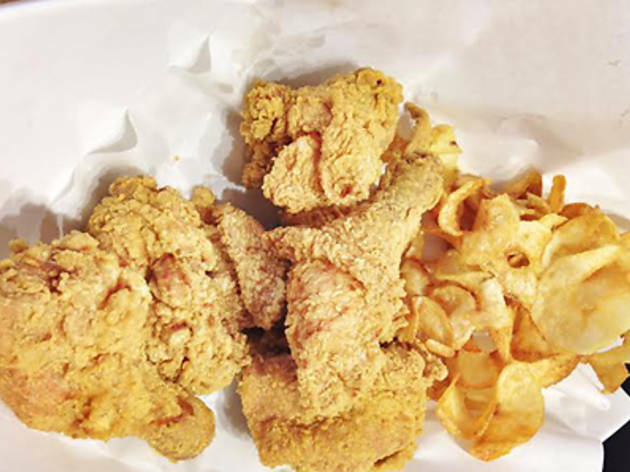 Fried or ‘yangnyeom’ chicken in Korea is as natural a bar food as pretzels are to beer in the USA. 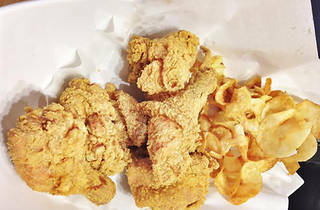 Unlike their Western counterparts, though, yangnyeom chicken pieces are loaded with spices and the tender chunks of meat are fried twice for crispiness and contain a flavourful kick that goes well with beer or soju. You know a place is good when it’s packed with people from its own nation – and we hear some ‘nomu masisseoyos’ (‘it’s very delicious!’ in Korean) when we walk into this new TST eatery. Fairyland is definitely trying to appeal to the younger demographic of late-night merrymakers as it’s open from 3pm to 4am daily. We grab some Hite Korean beer ($38) and eagerly await our order of hot spicy chicken ($185), which comes out piping. The dish is everything you can wish for, with the bird being well-covered in a sweet sauce that has just the right amount of heat but doesn’t overpower the herby tastes, the delicately spiced batter or the crispiness of the skin. However, after a while are mouths are burning a little – but our order of salad ($120), with its crunchy veg and creamy dressing, cools us down to normal again. The owner at Fairyland suggests that the boneless grilled chicken ($210) is her best dish but we’re leaving that for next time. As this place offers good grub at night-owl hours, we're sure to pop in again when we want a hangover cure.